Despite the overwhelming number of technological advancements over the last few decades, the healthcare industry often relies on outdated, outmoded and old-fashioned devices to coordinate patient care. Case in point: care team members are still using pagers to communicate with one another. Some hospitals even have pager usage rates as high as 90%. When you picture pager usage in hospitals, “efficient” is probably the last way you’d describe it. If one-way communication, missed notifications, and interrupted patient care sounds like efficiency, then a pager may be the right tool for you. For everyone else living in the 21st century, clinical communication and collaboration (CC&C) solutions leveraging smartphone technology offer astounding efficiency for care teams wrapped up in a simple-to-use, mobile package. Add to that the ability to integrate with other hospital systems, and it becomes a must-have for any provider. Pagers themselves are relatively secure, but the information they communicate is vulnerable to a security breach. For example, a physician may send out a page containing the name of a patient going into and out of surgery, blood work results, attending doctor names, callback info, or admission and discharge info without realizing the page can be intercepted by someone outside of the hospital. Additionally, there is little to no admin oversight or archiving capability, particularly as pagers get passed from one provider to the next. With CC&C solutions, there is no vulnerability in this case. Administrators maintain full control over users and security policies. 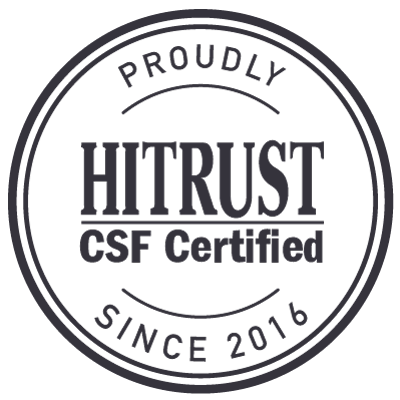 And if your solution is HITRUST certified (like TigerConnect), you can be sure it meets key healthcare regulations and requirements for protecting and securing sensitive private healthcare information. A recent report, published by HIMSS Analytics and explained in this ebook “The Hidden Cost of Pagers in Healthcare,” highlighted financial motives for replacing pagers in hospitals. The study found that large healthcare organizations were paying an average of $8.40 per pager, per month for their pager services – an average of $179,000 per year. Care facilities that retire their pagers for a CC&C platform could actually save money overall. And with no setup costs, no special hardware required, and no need to purchase additional services. It’s a no-brainer to switch. All healthcare professionals have been there: you send a page to a member of your care team hoping to get a fast response, only to find out that your message seemingly vanished into thin air. And if you’re out of range or have your pager switched off, neither you nor the sender will know that the page did not go through. This dilemma can be solved by read receipts, a simple yet effective feature that pagers lack, but CC&C systems like TigerConnect employ. Instead of hoping that your page made it to the right person, you instantly know when your message is sent, delivered and read by the recipient. Sure, pagers don’t need to be charged like smartphones and are small and light enough to be carried on a belt or in a pocket, but they lack the fundamental features that clinicians need to properly care for patients. Take for example, the lack of an address book. Or how about not being able to identify who is trying to reach you, or why? CC&C systems offer true convenience through a mobile device with which users are already familiar. In order to be HIPAA compliant, pagers must be encrypted, have a system of message accountability, and have the ability to remotely remove messages to safeguard protected health information in the event of a pager being lost or stolen. Pagers might have one or two of these capabilities, but not all. And with HIPAA violations in excess of $50,000 per incident, you can’t afford to leave your hospital’s bottom line or reputation and trust among the community to a pager. 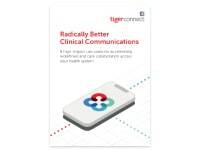 Clinical communication and collaboration platforms like TigerConnect have become much more than a pager replacement. 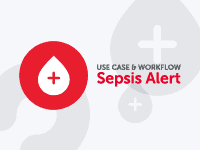 With sophisticated communication capabilities and integrations into the EHR, nurse call, labs, imaging, and scheduling systems, these solutions are so advanced compared to the pager that any healthcare facility without one is perpetuating inefficiency, negatively impacting revenue, and compromising the patient experience. Once healthcare providers realize the true potential of secure, mobile, HIPAA-compliant communication, there will be no going back to antiquated devices like the pager. 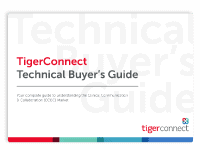 To learn more about TigerConnect and its many benefits, visit our website.